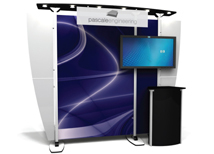 Pascale Exhibitline display systems are great alternative to standard pop up displays. Each model offers a different look as well as many package options including different style counters and accessories. 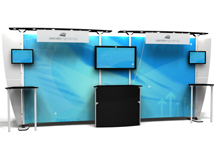 We package all of our Exhibitline systems with everything needed for the booth. Every complete kit price includes all hardware, shipping cases, dye sub backwall graphics, and a printed header so there are no additional costs unless more accessories are needed! 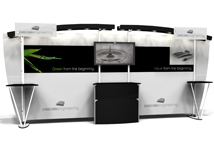 We offer custom displays through Pascale so its possible to change the style of any booth! 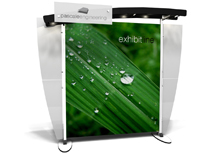 Exhibitline displays are the entry level system from our Pascale line. 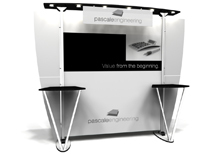 The quality of the Pascale sets it apart from any other display system and the Exhibitline is the most affordable option. Every display system is over 95% US made and engineered for maximum quality.